It was such a nice weekend in New York! I was shocked and amazed (that line's for you, Mom). Despite it being supppperrrr windy, it was actually warm and there were blue skies all weekend long. 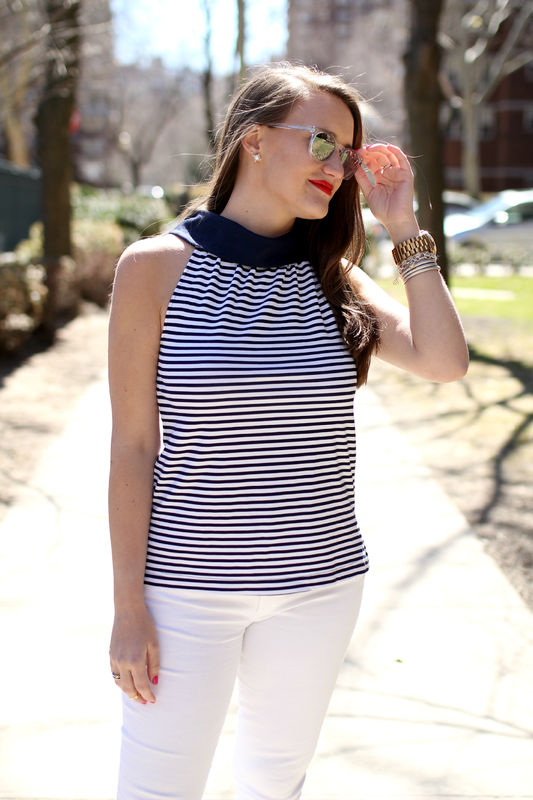 I'm thankful because I was finally able to wear this new Sail to Sable top! I've been holding on to this guy for a while now just waiting for the sun to peek it's pretty little head out and say hello. I mean, it's just begging for me to take it on a spin in the city. Side note, will I ever stop wearing navy and white? Probably not. It's by far my favorite color combo (I mean, just look at my shoes) and it goes so well with red lips. I also just got my new sunglasses this weekend (which you already know if you follow me on Snapchat @ kristalinn14). Yay for more mirrored frames! Hope everyone had a great weekend and ate lots of candy. This week kicks off Opening Week for me so I'm pretty pumped. Enjoy some nice weather and baseball today guys! in LOVE with that top! Just wish it wasn't so damn expensive! Cute look! Sooo cute! Love the look! Love that top! The back is so cute! Also love the top with the Jack Rogers sandels! The buttons on this are amazing! 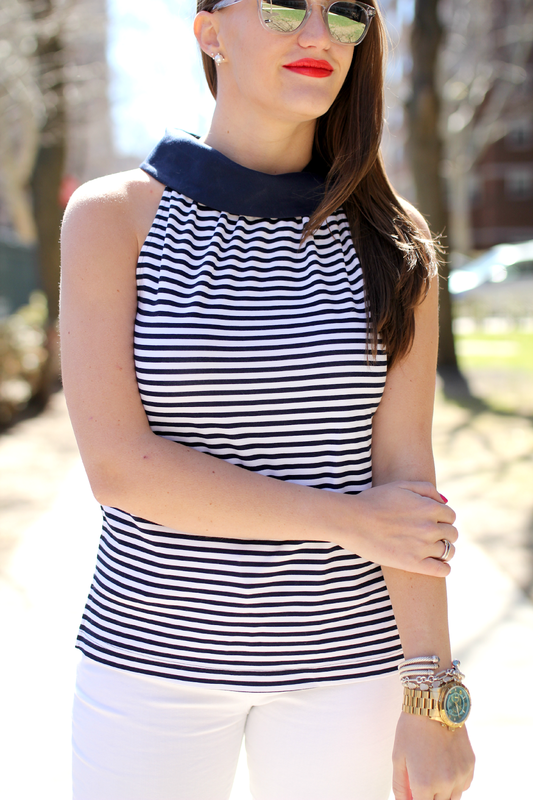 Navy and white is so classic, I love it.